With this quotation from Johan Wolfgang von Goethe, renowned climate scientist Professor V. Ramanathan closed his remarks at the Super Pollutant Day event kicking off the Global Climate Action Summit. Goethe’s words aptly sum up the charged atmosphere of the global gathering, a clear call for urgent climate action now. And the philanthropic community responded with 29 philanthropies, including the Pisces Foundation, pledging $4 billion over the next five years to combat climate change—a strong commitment to accelerate climate action. 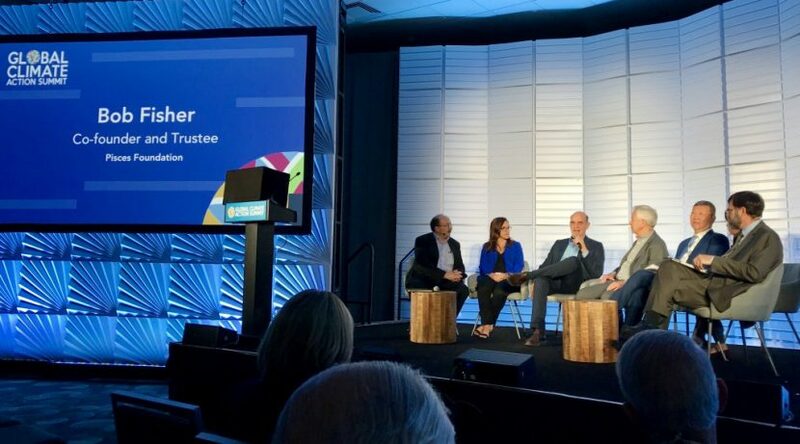 Alongside the main stage, summit-affiliated events showcased how to deliver on the call for immediate and meaningful climate action. 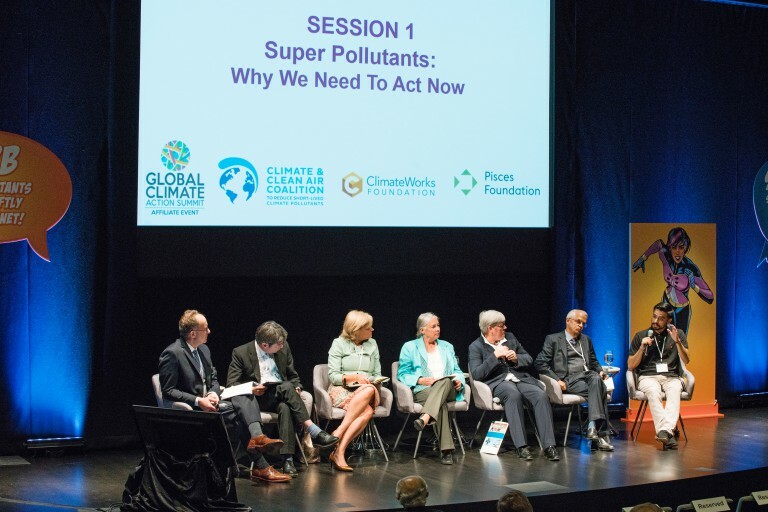 One such event was Super Pollutant Day at the San Francisco Museum of Modern Art, which Pisces hosted in collaboration with the Climate and Clean Air Coalition and the ClimateWorks Foundation. 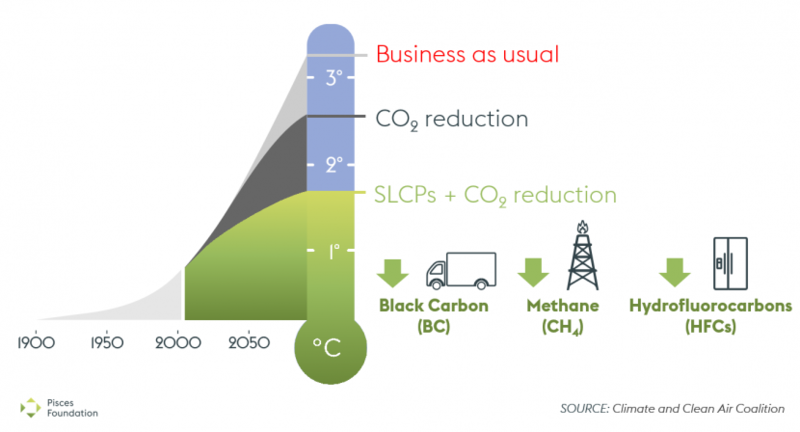 The event took its name from a powerful set of pollutants that are key contributors to climate change: refrigerants like HFCs, methane, and black carbon, better known as soot that is emitted from buses, trucks, and ships. Pound for pound, each is more powerful than carbon dioxide over twenty years. That is why cutting super pollutants alongside carbon dioxide gives the world the best chance to meet the goals of the Paris agreement and keep climate change in check. At Super Pollutant Day, some two hundred attendees from across the globe heard from two high-level panels with participants including pioneering California climate legislator, Fran Pavley; Public Health and Environment Director of the World Health Organization, María Neira; Executive Director of the Mexican Agency for Security, Energy, and Environment, Carlos de Regules; climate champion, California State Senator Ricardo Lara; and community organizer, Cesar Aguirre. The sessions were illuminating. For example, leading scientists shared that super pollutants contribute just under half of the current warming of the planet. According to Inia Seruiratu, Minister for Agriculture, Rural and Maritime Development, National Disaster Management, and Meteorological Services for Fiji, the projected impact of cutting a half-degree Celsius from the current warming trend will prevent up to 2.4 million premature deaths and save over 50 million metric tons of crops each year. Most of these benefits will accrue in communities heavily impacted by air pollution today. The good news is that the Summit’s focus on super pollutants was matched by new actions to drive them down. The U.S. Climate Alliance, a group of 17 U.S. states and territories, announced a roadmap to reduce super pollutants. Three of their members, the governors of New York, Maryland, and Connecticut, committed to adopting HFC rules like California’s and the State of Virginia announced plans for methane regulations. Working with the Natural Resources Defense Council, leaders from the air conditioning and refrigeration industry made commitments to support HFC reduction targets in states including California. And California Governor Jerry Brown announced that the state will launch a satellite that will track climate change-causing pollutants and help the world curb these destructive emissions. I am an environmentalist, a business person, and a philanthropist. From each perspective, reducing super pollutants is an indispensable part of the fight to ensure the safe, stable climate necessary for healthy, vibrant communities. As an environmentalist, I know swifter action on reducing super pollutants is an essential part of accelerating to a world where people and nature thrive together. As a business person, I am motivated by the knowledge that investing in super pollutant reduction offers a major return on investment. 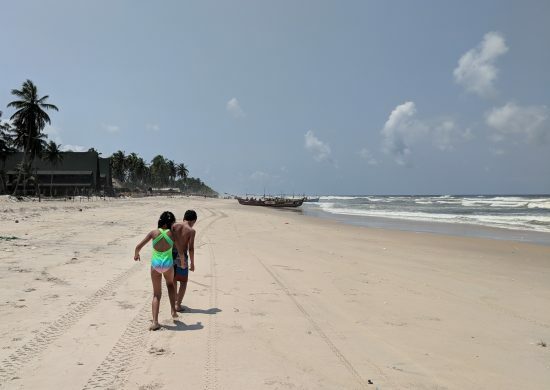 And as a philanthropist, I know that to deliver on this opportunity, the community dedicated to reducing super pollutants must continue to grow. 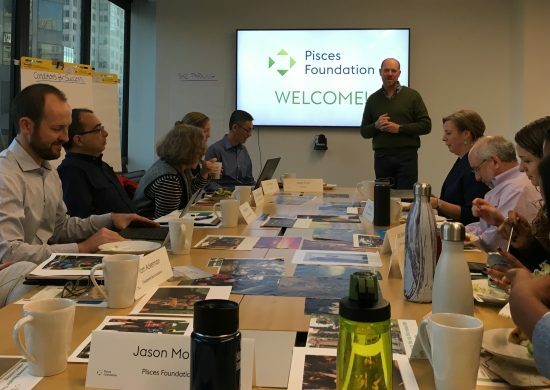 At Pisces Foundation, we are proud to support this growing movement of people working to, as Institute for Governance & Sustainable Development President Durwood Zaelke puts it, “pull all the levers” in the climate fight.